I have a shoulder injury. I’m not sure how I did it. I discovered it when I went to do a Side Plank on my left side and a sharp pain shot out of my shoulder, collapsing my arm. I couldn’t believe it and spent a couple of months putting my knee down in Gate Pose instead. But it didn’t get better. I finally went to the doctor. He wanted to rule out a rotator cuff tear. 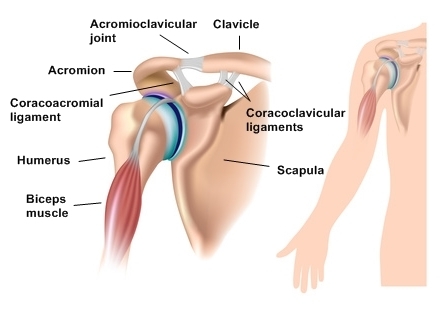 After an MRI, we found it is an inflamed Acromioclavicular joint or AC joint. Along with a possible cortisone shot, anti-inflamatory medication and physical therapy, the doctor has advised; No push ups, pull ups, raising my arm high above my head and no weight-bearing exercises. 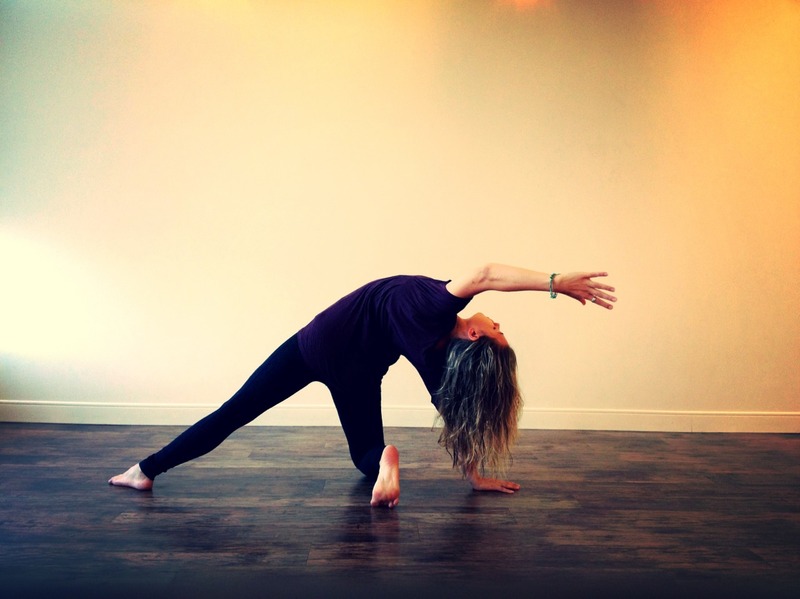 It means no Down Dog, no Chaturanga, no Sun Salutations, no Planks…the list goes on and on. I’ve been running, doing a lot of leg work outs and sit ups. 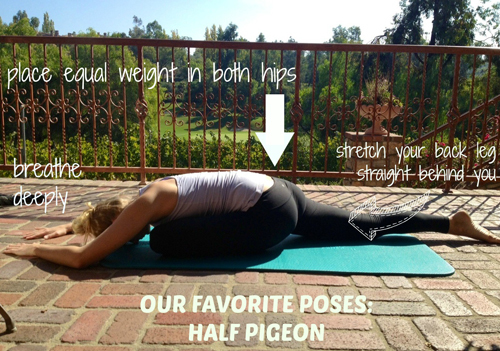 Afterwards, I spend a long time in my favorite pose, Half Pigeon. It’s a solitary workout. I miss my Baptiste yoga and my interval training classes. I’m used to smiling faces and the friendly guidance of the instructor. The purpose of yoga is to work the body so that your mind can truly relax into meditation. Buddhists use a term called Monkey Mind meaning “unsettled; restless; capricious; whimsical; fanciful; inconstant; confused; indecisive; uncontrollable” to describe an unfocused mind. My yoga practice helps me to focus my frantic my mind. It allows me to adapt to the moment. I have never been serene. My thoughts jump around like one of those mischievous movie monkeys. Bouncing around, creating havoc and anxiety. I am confident that if I was currently a child in school, some well-meaning teacher or school counselor would get a hold of me and accurately diagnose me with ADHD or ADD. My mind has always hopped about in a way that didn’t match my surroundings. I learned to make my busy brain work for me, but it can be exhausting. When I started practicing yoga it was as if that crazy monkey went to charm school. My thoughts learned to wait their turn. I’m not able to do yoga right now and I’m a bit scattered. But it is not the end of the world. It’s time to literally take my practice off my mat, breathe deep and focus with gratitude on the healing that is happening. Categories: Yoga | Tags: AC joint, Acromioclavicular joint, ADD, ADHD, Baptiste yoga, chaturanga, down dog, focus, Gate pose, gratitude, half pigeon pose, monkey mind, plank, plank pose, shoulder injury, side plank, side plank pose, sports injury, sun salutations | Permalink.